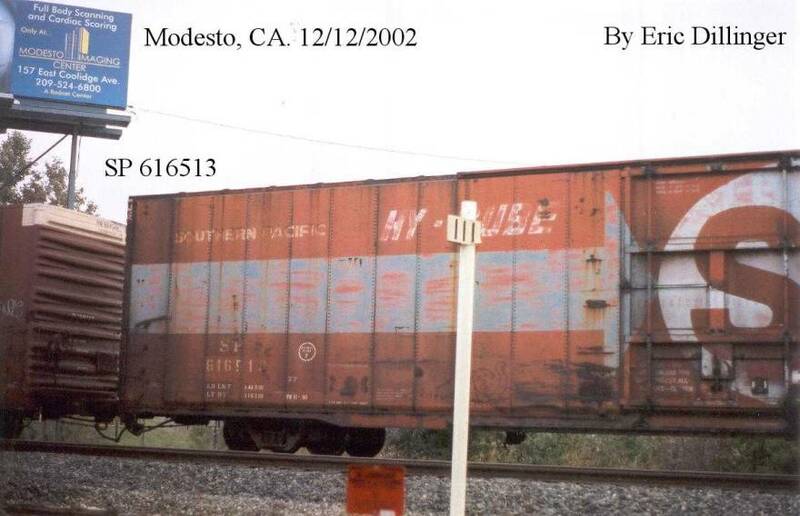 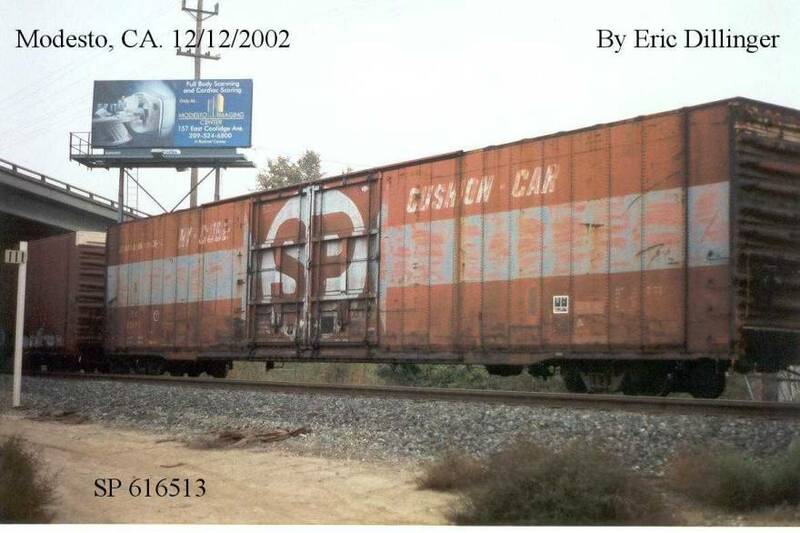 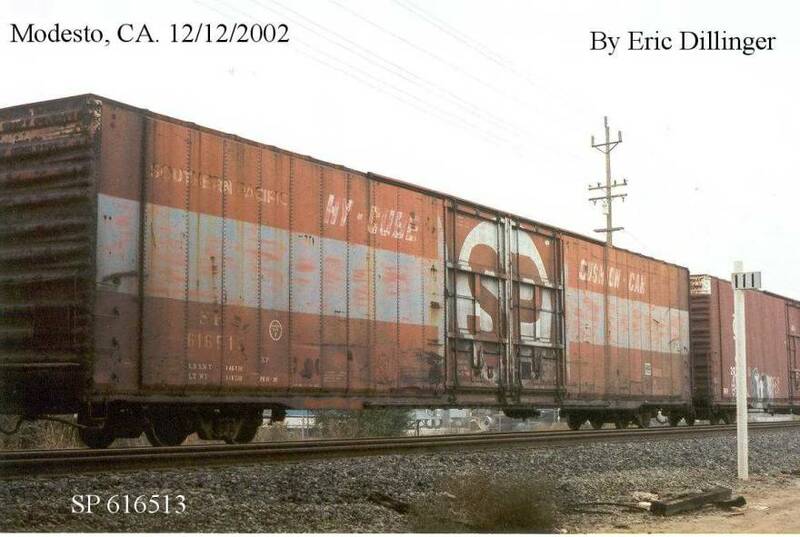 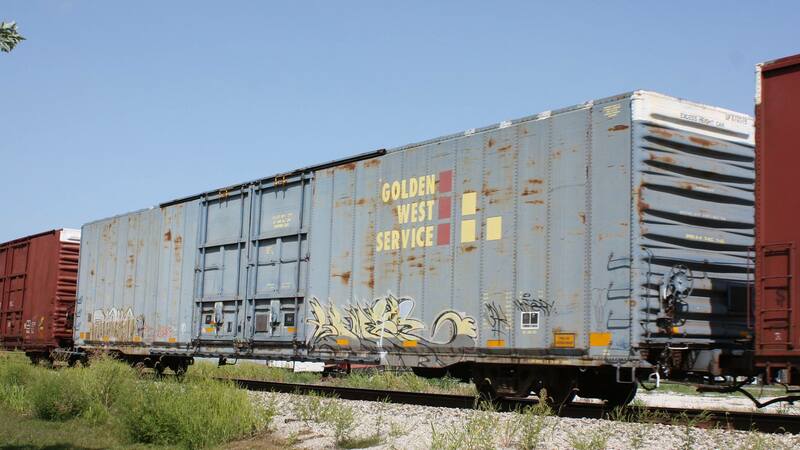 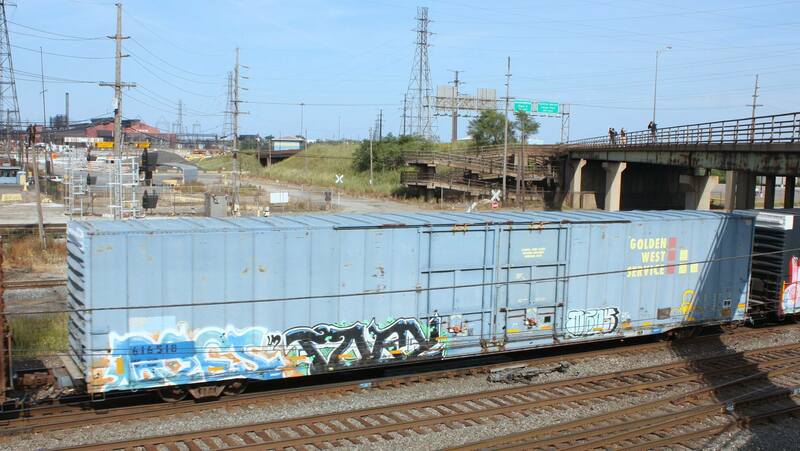 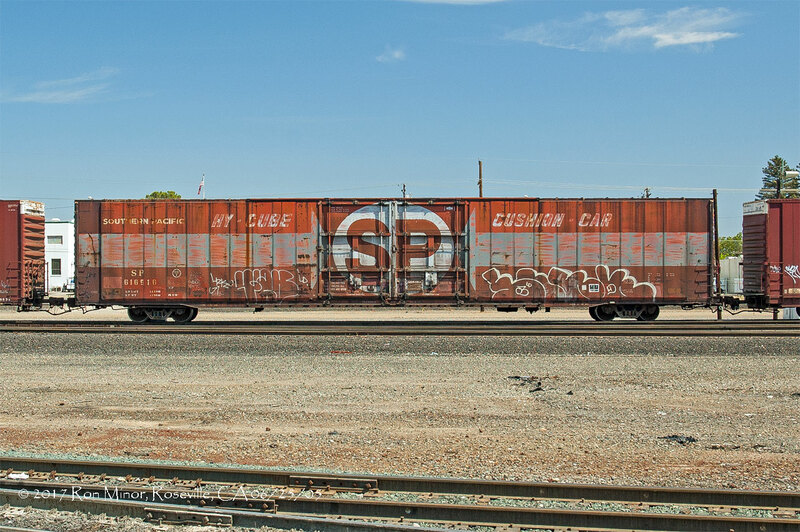 These 86'-6" hi-cube, auto parts box cars were built by GSC in 1969. 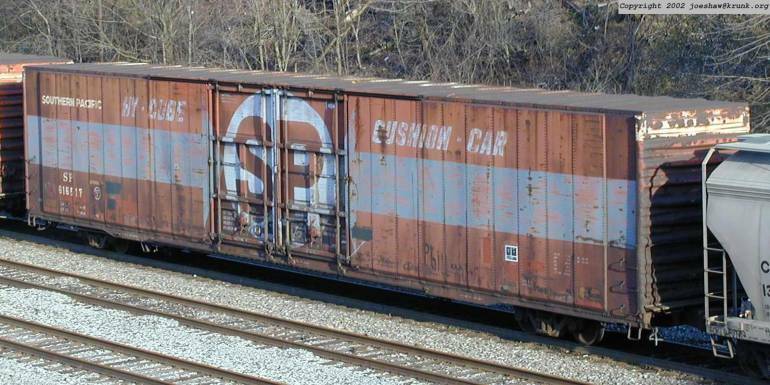 They featured 10000 ft3 capacity and a 20'-0" door opening centered on the car side. 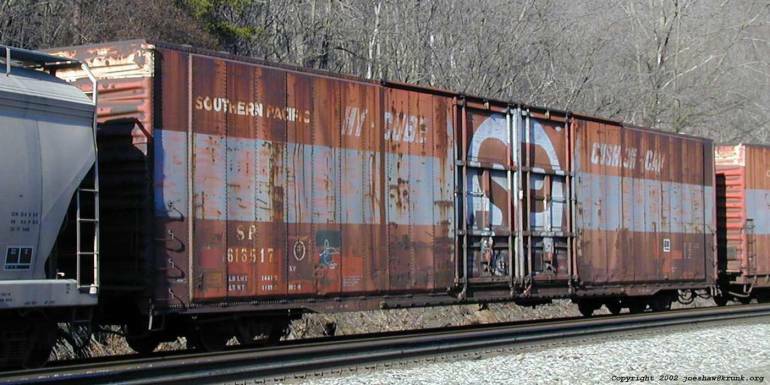 They were delivered in the distinctive red paint scheme with a large white circle centered on the doors with a red SP. 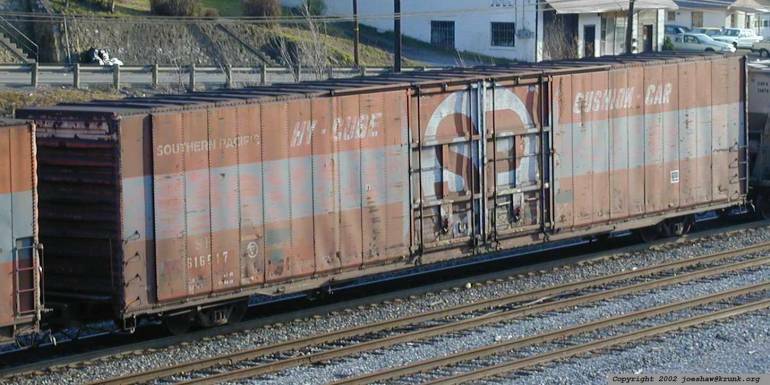 Arrows painted on the cars' sides pointed toward the white ball. 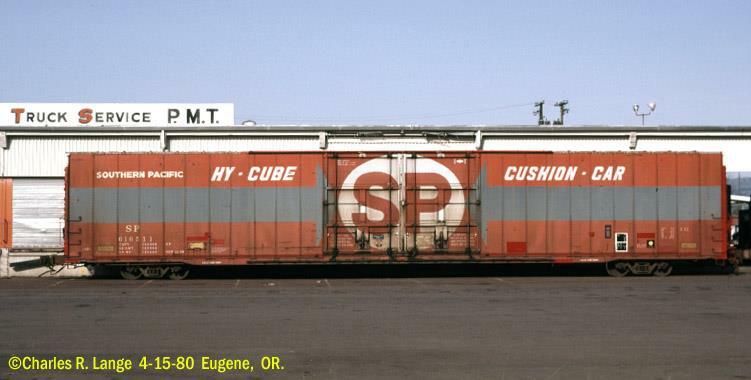 The name SOUTHERN PACIFIC was spelled out in the upper left hand corner of the car side. 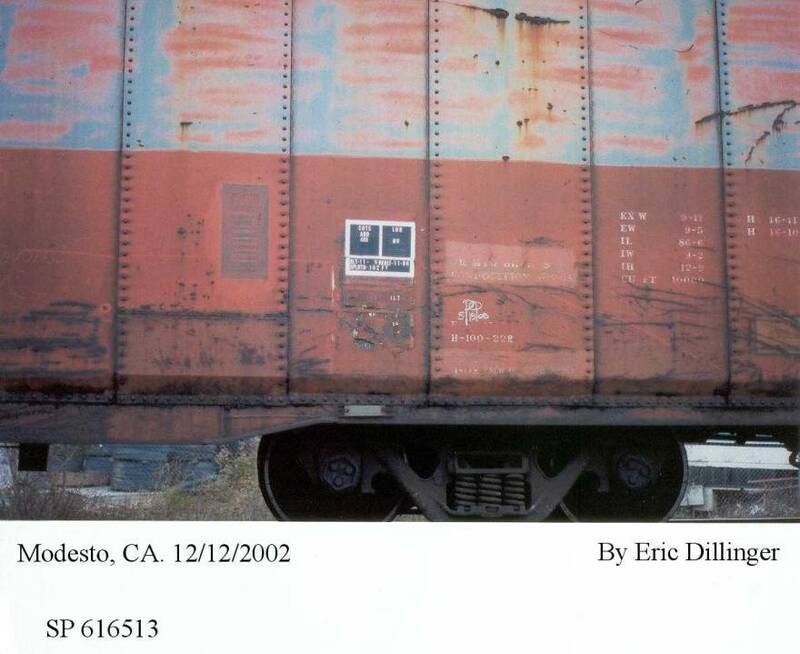 Also, at least one of this class, SP 616513, was re-built in November 1990 as evidenced by the B-100-22R shown on Eric Dillinger's photo. 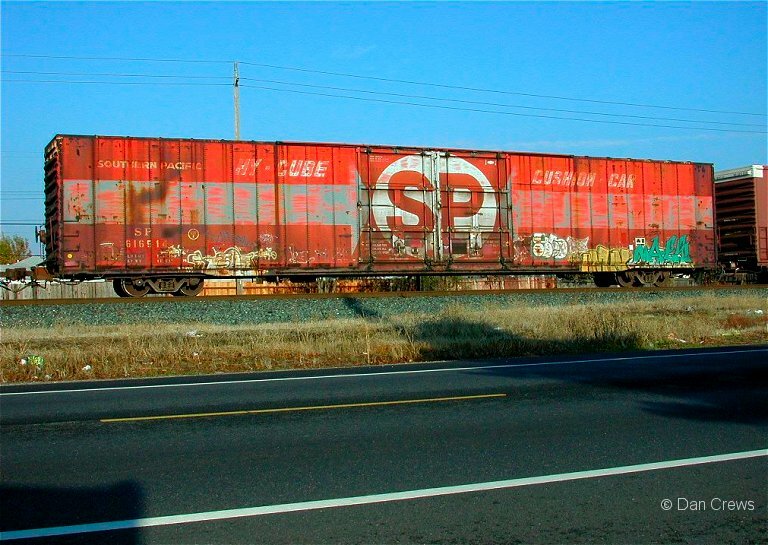 This is unusual for SP, as it seems to have kept its original number after being re-built.